thyme linalol essential oil (organic) (1 drop) + (1 drop) + Basil exotic essential oil (organic) (1 drop) + Clove Bud essential oil (organic) (1 drop) + Baobab Oil (organic) (10 drops) + Winter Savory essential oil (organic) (1 drop) . Mix all these ingredients and massage the back and lower abdomen, morning, noon and evening until improvement of symptoms. 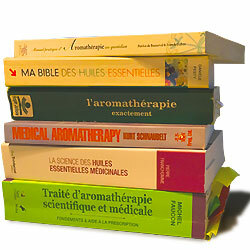 thyme linalol essential oil (organic) (0.5 ml) + Rosewood essential oil (organic) (0.5 ml) + Basil exotic essential oil (organic) (0.5 ml) + Pine needle essential oil (organic) (0.5 ml) + Black spruce essential oil (organic) (0.5 ml) + Arnica macerate (organic) (5 ml) . This preparation is used in massage, daily, in the morning and in the evening. Massage the solar plexus and the soles of the feet. Duration: 8 to 10 days. thyme linalol essential oil (organic) (1 ml) + Rosewood essential oil (organic) (1 ml) + Sweet almond oil (organic) (5 ml) + Basil exotic essential oil (organic) (1 ml) + Pine needle essential oil (organic) (1 ml) + Black spruce essential oil (organic) (1 ml) . Massage the spine 3x/day with a few drops of this mixture for ten days. 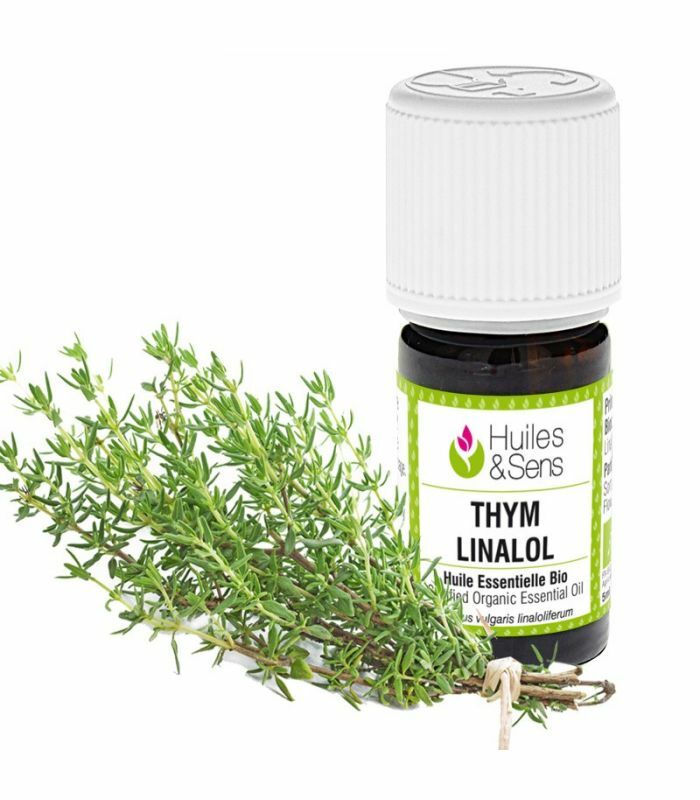 thyme linalol essential oil (organic) (1 drop) + Eucalyptus radiata essential oil (organic) (1 drop) + Niaouli essential oil (organic) (1 drop) + Tea-tree essential oil (organic) (1 drop) + Macadamianut Oil (organic) (5 drops) . Mix all ingredients and massage the contour of the ear 3x/day.